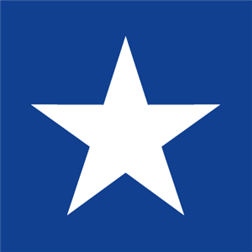 Thanks to App Spotlights which tracks markets as well as apps on the Windows Phone Store has spotted 6 new markets where the WP Store is available. You can be the first to know as well with the App Spotlights app. Access to more than 2400 spotlighted apps from all 121 markets every day. Have more confidence when buying a spotlighted app. Consult three charts to find out the most spotlighted apps in the marketplace. 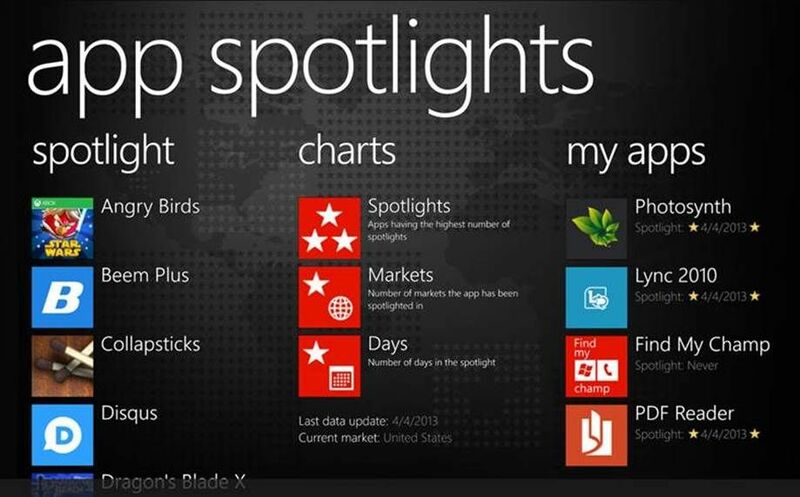 Navigate faster than the built-in Store app when looking for spotlighted apps. Get notified when your apps are in the spotlights in any markets. Share the news with potential buyers on your favorite social networks. Obtain a detailed history when your apps were in the spotlight in each market. Analyze the impact on your downloads when your apps are in the spotlight. Track the the visibility of your competitors. Toast and Live Tile notifications. Lock screen information from App Spotlights can be used. In the 3 charts, the top 5 are hidden apps. A developer can only add one app.